NOT valid on WordPress themes. Available for Magento, PrestaShop, Opencart, and others. Valid for first 50 users. 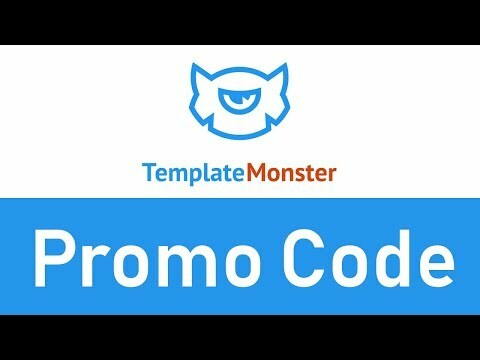 Use exclusive Template Monster coupon code to get 20% discount on any template you need. Choose from Fashion & Beauty, Sports & Outdoors, Bussiness & Services and more. The coupon code is available for selected innovative products. Limited time only. If you want to get a template with some discount, press the button "Show Coupon Code", copy coupon code and paste it on templatemonster.com. Seems easy, isn't it? Let's see step by step. 2. Choose among templates the one you need. It will become easier if you choose the category first. 3. Press on the template you like to see details or see its live demo. 4. Press "Add to cart" if you decide to buy it. 5. You can also add any recommended service from the list on the right. In the pop-up window, under subtotal price, you can see the sign "Have a promo code? Add it here". Press "Add it here". By clicking the special field will appear below. Type in or paste into that field the code you found on our site and press button "Apply". Templatemonster.com is one of the biggest online platform for website designing & building. Created in 2002, now has over 20,000 collections of designs, catered for more than a million clients over the years. Among the services customers get to enjoy on this site are webtemplates, hosting, copywriting, search engine optimization, installations and much more. With the help of expert creative designers you can enjoy building your unique website at very affordable prices. Are you a newbie at web designing? With free web templates samples available on the site, you can get acquainted to what web designing is about before building yours. Clients get to enjoy a 24 hour access to skilled technicians ready to answer any questions you have about the templates. Personalize your website with ease at a budget friendly price.